The desk out of the Remix Collection by the Hansen Family is a new interpretation of the classic secretary. With its strongly handicraft character and the colourful storage spaces the table combines classic and modern elements. The design of the desk was coined by Gesa Hansen. It suits modern living rooms as well as classic working rooms. 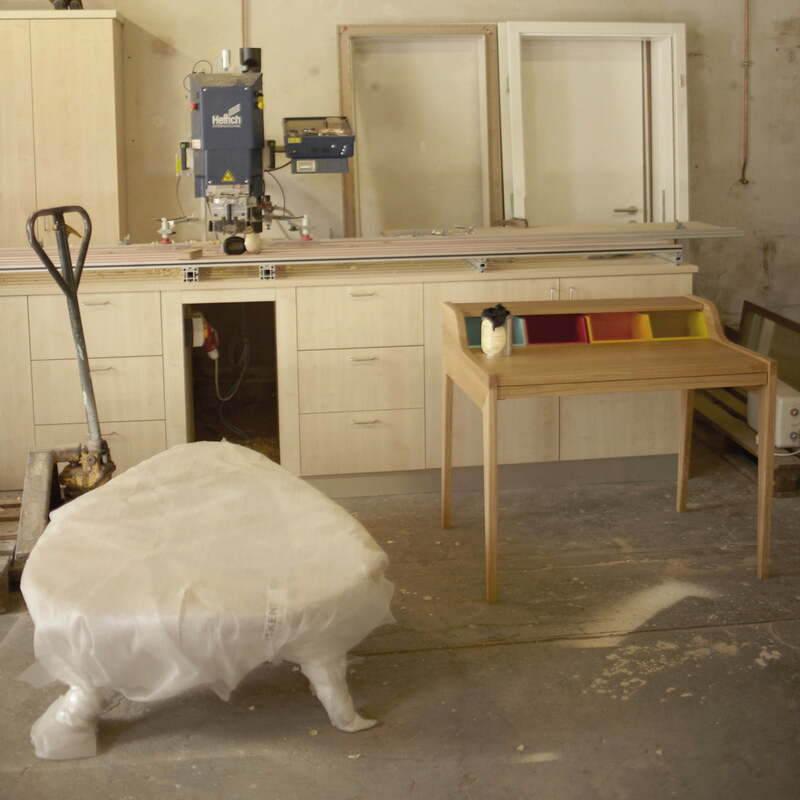 The table offers storage space and enough places to work. The table top can be pulled out to the front and on top of the four colourful deposit spaces there are additional deposit spaces. The compartments can be removed without any problems if desired. The desk was designed b Gesa Hansen as part of the Remix Collection for her own design label The Hansen Family. Her design style is a combination of Scandinavian minimalism and strong colours. This is also displayed by the desk of the awarded furniture collection which is strongly inspired by the Scandinavian handicraft tradition. The Hansen Family is just found in this handicraft tradition with its products: each desk is exceptionally made out of ecological correct cultivation wood by hand in the Hans Hansen workshop. The desk out of the Remix Collection has been honored with the Good Design Award of the Chicago Athaeum in the year 2010 for its exceptional design as well as with the Red Dot Design Award. It has also been nominated for the Design Award Germany in 2011. Single image of the desk of the Remix Collection by The Hansen Family. 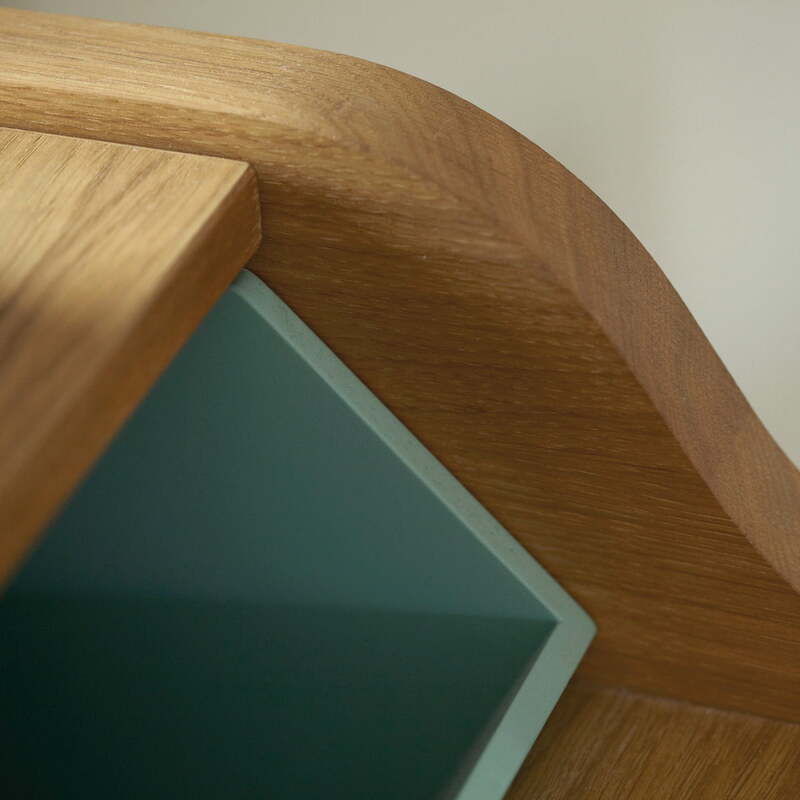 The desk with a crafted charakter is made from oak wood. It has a table top that can be pulled out and four colourful storage compartments. 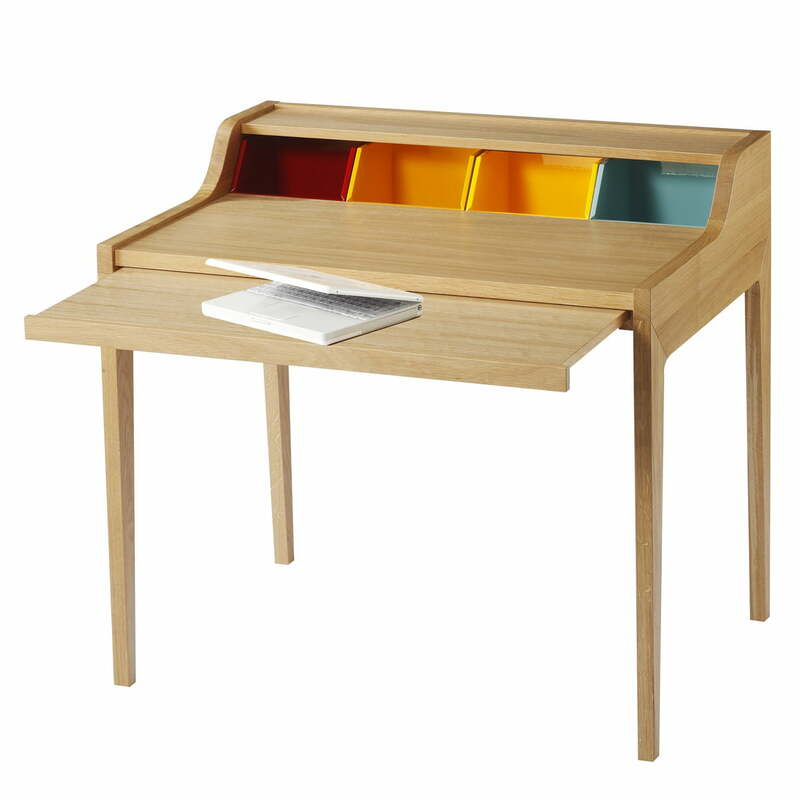 The Desk of the Remix Collection by The Hansen Family is is a new interpretation of the classic secretary. 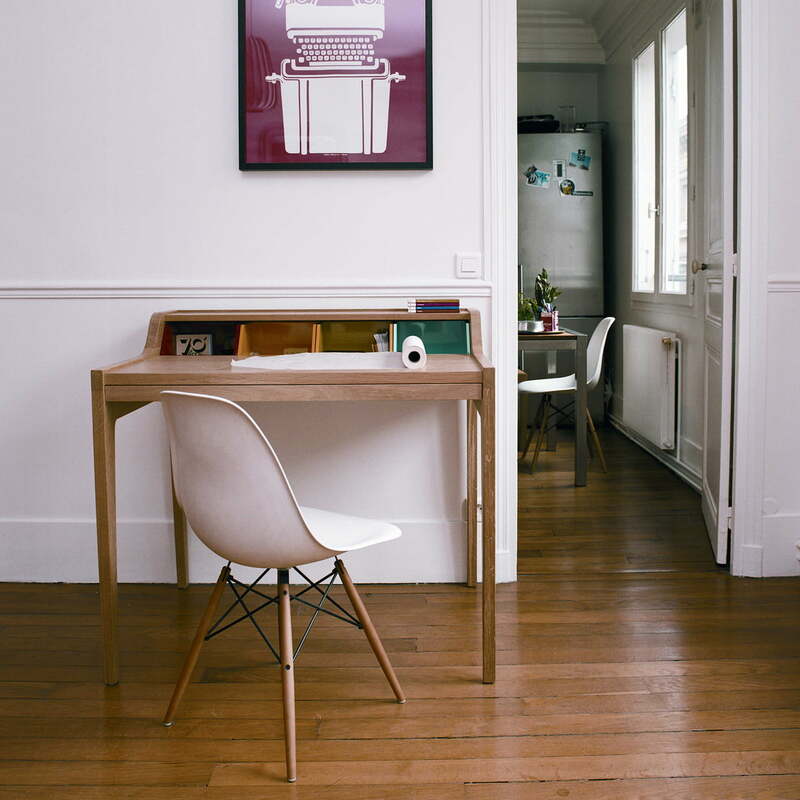 It looks well in combination with the Vitra Eames Plastic Side Chair - both in the living room as well as in the study.